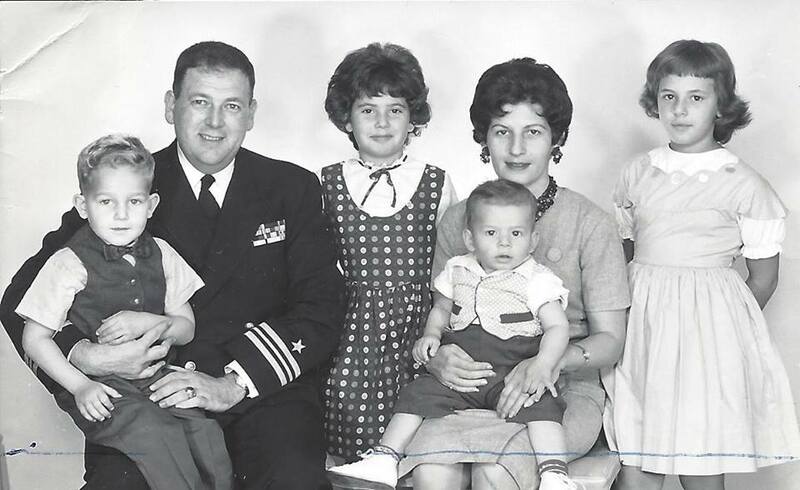 I was born on the United States Naval Base in Yokosuka, Japan and moved to Walnut Creek, California when I was three years old. I really remember very little of my early years here. Really just a few snapshots in my mind and stories I have heard over the years. 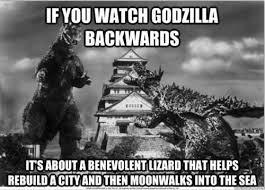 One such story is that my very first word as a little boy was “Godzilla”. Apparently I loved to watch Godzilla movies! 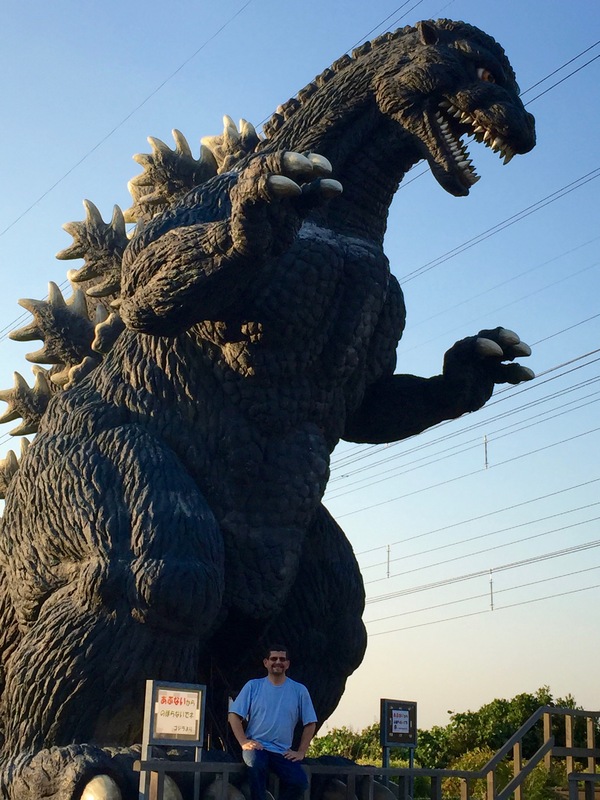 It was very important to me that on this trip I touch ground in Yokosuka, meeting Godzilla in Yokosuka was an added bonus. Godzilla in Japanese is “Gojira” and there is a huge Gojira replica at the Kurihama Flower World in Yokosuka. This is where the movie “Godzilla Returns” was filmed and marks the spot where Godzilla emerged from the ocean and began his reign of terror! Godzilla returns and boy is he pissed!!! 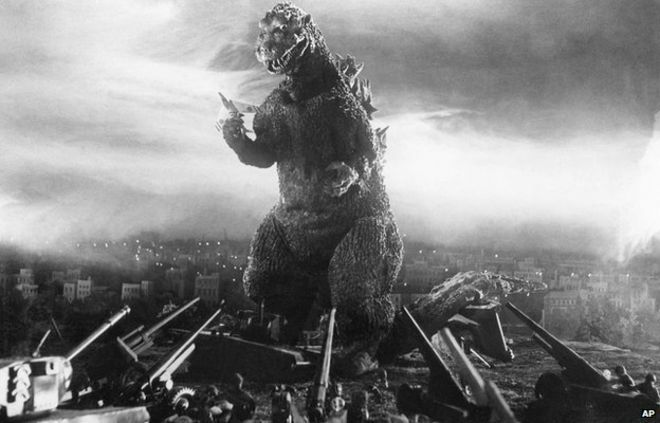 Please watch this short tribute to 60 years of Godzilla movies. Kurihama Flower World is located just outside Yokosuka city central in Kanagawa prefecture. Kurihama Flower World is well known for its beautiful varieties of flowers throughout the year. 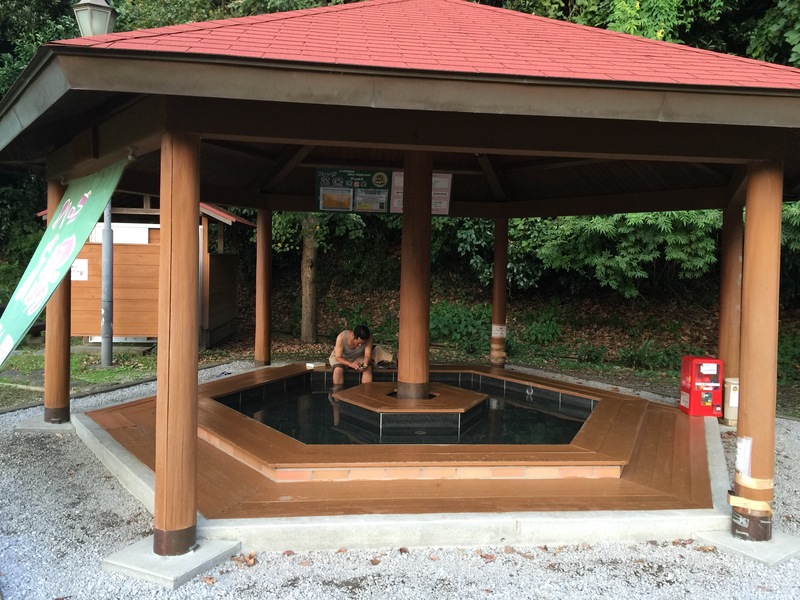 In a trip to this park you can experience everything from flower picking to foot baths, all while getting exercise and enjoying the great outdoors. When you first arrive in the park, it doesn’t seem like much of a flower world. In actuality, you have to either take a train or walk from the base up the mountain to where the flowers begin. 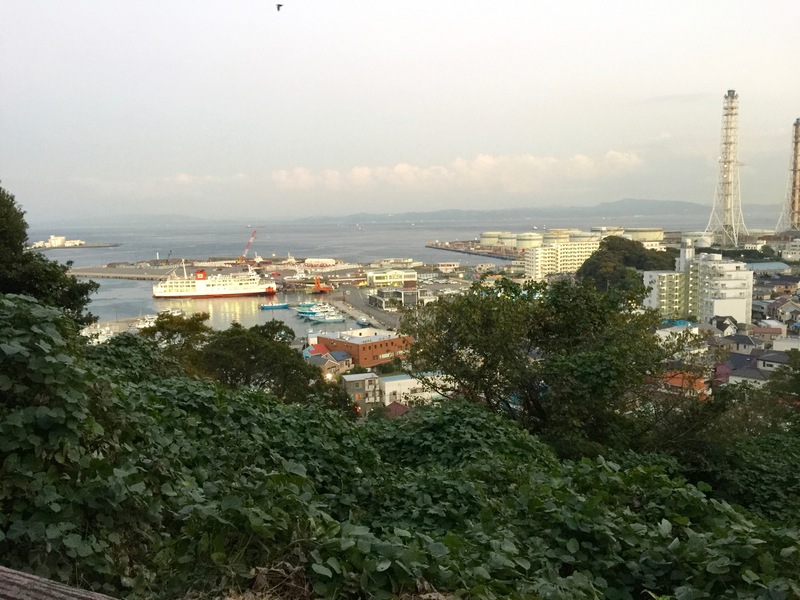 On the top of this mountain is where you will also encounter Gojira, and looking down the other side, should you get past Gojira, you can see Tokyo bay and the United States Navy base. I had read the promotional material and I was excited! However, we got to the park late in the day and in the off-season, missing the last train and the flowers! It was a long, steep climb. We had really debated about waiting for the next park train, but we had just missed the 3PM train, and the next wasn’t due for another hour. It gets dark here around 5PM so that would not leave us much time. We saw a sign that had an outline picture of Gojira with 1100M next it. This was one of those moments in life when I knew how much my wife loves me! She was already wiped out getting to the park, the weather was hot and sticky, and then she saw a steep 1100M hike ahead of us. She did it anyway!!! It was spiritual climb for me. As a child I knew I was born in some exotic far away place, and now 50 years later, I was climbing a mountain to reach way back into my past. To look down upon the navy base that brought my parents to Japan was in some way touching the essence of a connection with my dad. Damn it, I miss him so much! I felt his presence the whole way. It was a tough climb but worth it. The views from both sides of the mountain were spectacular. It was the off season, the park was deserted, and it kind of felt like it was my park. For a moment, Gojira was mine as well. Old Friends – Together at Last! Video: Almost to the top! Video: Gojira all to myself – Upclose and personal! 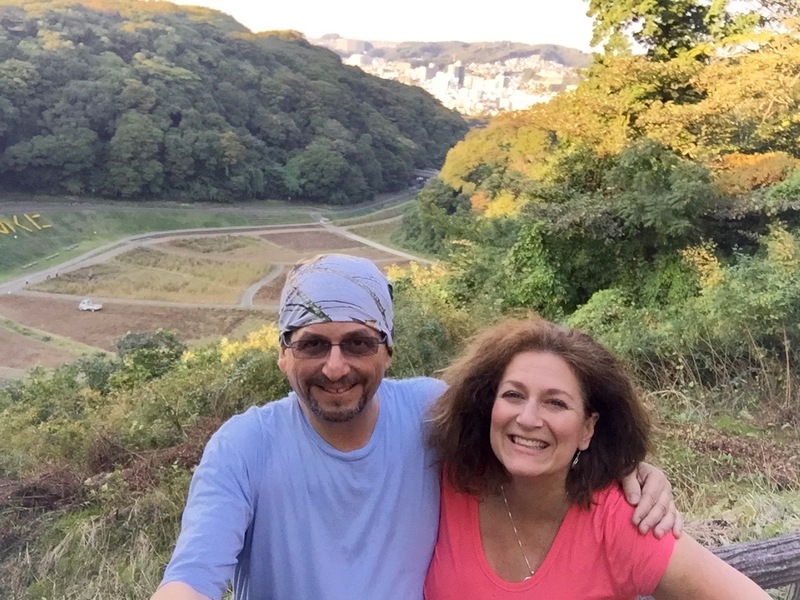 The view looking down on Tokyo Bay was beautiful as we began our hike down the other side of the mountain. As we made it down to the information center we discovered that the park had a footbath infused with herbs grown on park land. What better way to recover from a strenuous hike than to soak your feet in hot water. With my good friend Bryan Altaker and some nameless statue! Walking towards the exit of the park we discovered we where not where we started. We would have to walk an extra mile to get to the train station. We were scheduled to meet an old friend of mine, Bryan Altaker, for dinner. Bryan is on a year-long assignment as the psychologist for the elementary school on the Navy base. This is the same elementary school that my sisters attended over fifty years ago! 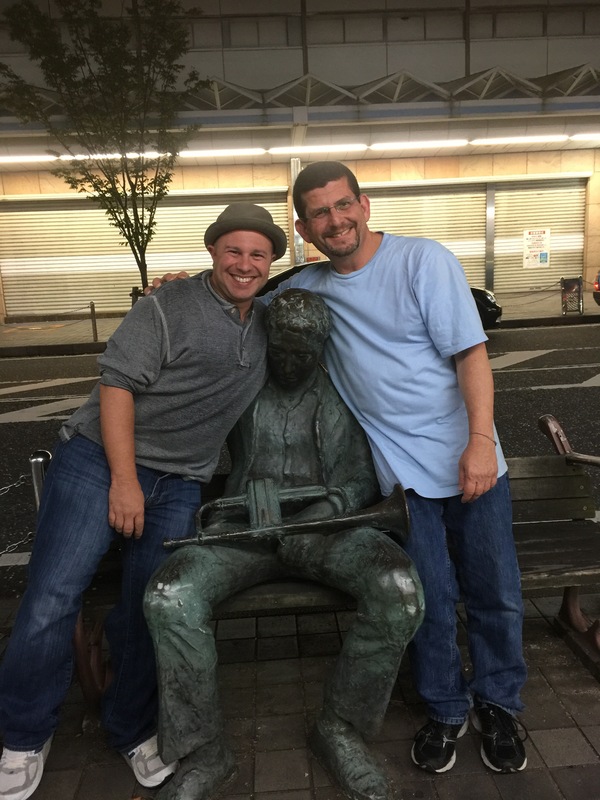 We met Bryan at the Yokosuka-Chou train station. He led us down a bunch of alley ways until we arrived at a hole-in-the-wall Indian restaurant. The food was amazing and the company even better!!! Congratulations to you, Tracy – and to Laurie, too! Fascinating story and great photography! Very cool story, loved it. Love reading about your adventure! !